No more Waiting on Wednesday, but a new "Spotlight" feature. It's almost the same, but instead of books I'm eagerly anticipating, I'll be putting the spotlight on upcoming books or books that deserve a day in the spotlight. 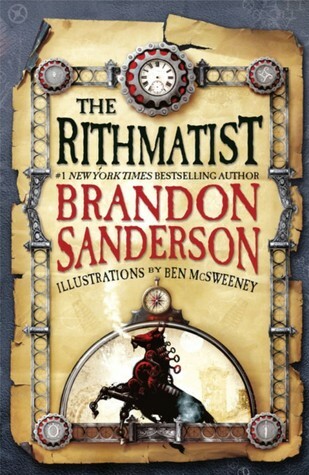 The Rithmatist is an epic fantasy set in an alternate version of our world—a world in which life in the American Isles is threatened by the attacks of mysterious creatures known as Wild Chalklings. Chalklings are two-dimensional drawings that can be infused with life by Rithmatists and it is the job of the Rithmatists to keep the Wild Chalkings at bay.